Violinist Anna Presler, a longtime member of Left Coast Chamber Ensemble and currently its artistic director, has taught at Sacramento State University since 1994, where she plays in the faculty ensemble-in-residence, the Sun Quartet. She was a member of New Century Chamber Orchestra for many years, and performed as a soloist with the ensemble. Anna was a fellow at the Banff Art Center, the International Music Seminar at Cornwall, and the Tanglewood Music Center, where her chamber music coaches included Eugene Lehner, Gil Kalish and Julius Levine. She holds degrees from Yale University, the San Francisco Conservatory of Music, and North Carolina School of the Arts. She studied with Elaine Richey, Sidney Harth, Syoko Aki, Ian Swensen, and the poet John Hollander. With Phyllis Kamrin, Kurt Rohde and Leighton Fong, she founded the Onyx Quartet in 1995; the ensemble merged with LCCE several years later and continues to perform and record. Ms. Presler lives in Berkeley with her husband, cellist Leighton Fong, and their daughter Maria. Phyllis Kamrin received her B.M. from the Curtis Institute and her M.M. from the New England Conservatory. She is a member of the string quartet within the Left Coast Chamber Ensemble, and of the Alma Duo, an ensemble with guitar. She has played with the Sierra String Quartet, winners of the Duisberg Prize, the New Century Chamber Orchestra, and Philharmonia Baroque. Ms. Kamrin can be heard on the Kameleon, VQS, and Harmonia Mundi labels. She is Director of Adult Chamber Music at the Crowden School in Berkeley. Cellist Tanya Tomkins returned to the United States in 1998 after living in Holland for 14 years, where she discovered that certain music sounds wonderful when performed on the instruments for which it was composed. This discovery has informed a diverse career as soloist and chamber musician. The first cellist ever to win the international Bodky Competition for Early Music Soloists, she is equally at home on baroque and modern instruments and has performed on many chamber music series to critical acclaim, including at the Frick Collection, Lincoln Center, the 92nd Street Y, San Francisco Performances, and the Concertgebouw Kleine Zaal. She has numerous recordings, including the Debussy and Ravel String Quartets with the Euridice Quartet (members of the Concertgebouw Orchestra for Vanguard Classics), The Mendelssohn and Schumann Piano Trios on original instruments with the Benvenue Fortepiano Trio (Avie), the Beethoven Cello Sonatas with fortepianist, Eric Zivian (Bridge) and a recording of the complete Bach Suites on Baroque cello for Avie. Currently one of Philharmonia Baroque and Portland Baroque’s principal cellists, she has performed as soloist with both orchestras. She also performs with the American Bach Soloists, Voices of Music, the Oregon Bach Festival, Music in the Vineyards Festival, Olympic Chamber Music Festival, and the Moab Chamber Music Festival. She is a member of the Tomkins-Zivian Duo and the Benvenue Fortepiano Trio with Monica Huggett and Eric Zivian. She also organizes a series of house concerts in Berkeley and Marin County. Michel Taddei leads a varied career as performer, educator, and administrator. He is Principal Bassist of the San Francisco Chamber Orchestra, the Berkeley Symphony, the Fremont Symphony, the Pacific Chamber Orchestra, Symphony Napa Valley, and the Mendocino Music Festival, and is Assistant Principal Bass of the California Symphony. Other groups with which he has performed include the San Francisco Symphony, the New Century Chamber Orchestra, the Russian National Orchestra, and he works frequently with recording orchestras at Skywalker Sound. Solo appearances with orchestra include the San Francisco Chamber Orchestra, Berkeley Symphony, Palo Alto Chamber Orchestra and the Orquesta de Cámara Música Eterna as part of Classical Havana’s inaugural season. Chamber music is a passion for Michel -- a founding member of the Left Coast Chamber Ensemble, he has performed with groups including the Bella Trio, Empyrean Ensemble, Earplay, Quartet San Francisco, Musica Marin, Ensemble SF, the San Francisco Contemporary Music Players, the Del Sol and Saint Lawrence String Quartet, and at festivals including Aspen, Tanglewood, Valley of the Moon (on period instruments), Moab, the Musical Days at Forest Hill, French music festivals at Rive-de-Gier and Caves du Roussillon, and the Festival des sept Chapelles in Brittany. He has also performed with Yo Yo Ma and the Silk Road Ensemble on multiple tours in the USA and in Central Asia. 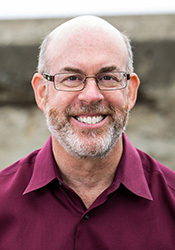 Director of Artistic Administration at the Crowden Music Center in Berkeley, California, he has consulted for the California Symphony’s El sistema-inspired program Sound Minds, and served as Education Consultant for Music at Kohl Mansion, in addition to spearheading musical initiatives for Crowden at high-impact schools in the area. Michel is also a sought after teacher, giving instruction in bass, chamber music, and leading orchestras at Crowden, and acting as a visiting artist for Music at Kohl Mansion. Michel has led the Crowden students on tours of Québec, the Pacific Northwest and British Columbia, New Zealand, New York and Boston, the Southwest, Denmark and Sweden, and Washington DC. He coaches for the Oakland Youth Orchestra and Young People’s Symphony Orchestra, conducts and coaches for the Golden Gate Philharmonic in San Francisco, and also guest conducts annually for the Palo Alto Chamber Orchestra, and teaches in their chamber music intensive. Michel studied bass with Homer Mensch at the Juilliard School, and is a graduate of Columbia University, where he was a John Jay National Scholar. 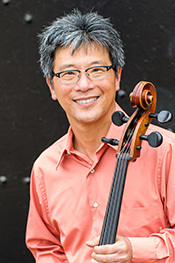 He interrupted his graduate studies in history at UC Berkeley to accept the invitation of Kent Nagano to become Principal Bass of the Orchestre de l’Opéra National de Lyon, where he played for over seven seasons, touring widely and making numerous recordings on labels including Decca, EMI, Erato, Nonesuch, Philips, and Virgin Classics. Michel also enjoys performing as a singer, with concert and opera appearances including works such as Stravinsky’s Renard, Bernstein’s Candide, and Rossini’s Barbiere di Siviglia. Stacey Pelinka began performing with the Left Coast Chamber Ensemble in 1998. She is also a member of the Eco Ensemble, with whom she toured to Venice for the 2014 Biennale. She plays principal flute with San Francisco Opera's Merola Program productions and is a member of the Santa Rosa Symphony, the Berkeley Symphony, the San Francisco Chamber Orchestra, and the Midsummer Mozart Festival. A certified Feldenkrais Method® practitioner, Stacey enjoys applying principals of the method in teaching and performing. She teaches flute at UC Berkeley and UC Davis, and Feldenkrais at the San Francisco Symphony. Stacey attended Cornell University and the San Francisco Conservatory, where she studied with Timothy Day. Andrea Plesnarski has been a member of Left Coast Chamber Ensemble for 15 years. She is Principal oboist of the Oakland East Bay Symphony and Fremont Symphony. She performed as a regular substitute member of the San Francisco Ballet Orchestra and is a freelancer with several Bay Area orchestral and chamber music groups. She is a graduate of the Curtis Institute where she studied with John de Lancie and Richard Woodhams. She has participated in many summer festivals including Tanglewood, Pacific Music Festival in Japan, Schleswig-Holstein Music Festival in Germany, and Spoleto Music Festival in Italy. Ms. Plesnarski has won the Florida Orchestra, Savannah Symphony and Carmel Music Society Competitions. Andrea earned an M.A. in Computer Science in 2001 from Mills College, Oakland. Her thesis focus was the creation of a human interface to allow the user to compose and play music using a piezo sensor gestural interface utilizing software with neural networks and Markov models. She is Lead Software Engineer at SoftwareAG in Alviso, CA. SoftwareAG is based in Darmstadt, Germany. In 2009, she received certificates in Landscape Horticulture and Landscape Design and Construction from Merritt College. She is an avid gardener and hopes to start doing landscape design professionally in the next year. Her favorite activity in the Bay Area is going on hikes and learning about native plants. 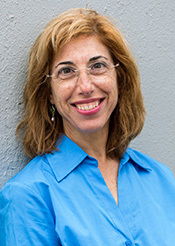 Andrea has been a musician board member with Oakland East Bay Symphony for the past 8 years. She has volunteered with Students Run Oakland for several seasons, running the L.A. Marathon with Oakland high school students. An avid runner, she ran the 2012 Paris Marathon on her birthday. She now volunteers as a garden mentor with City Slicker Farms in Oakland which enables residents of West Oakland to grow their own local, healthy food. Tom Nugent graduated from the San Francisco Conservatory of Music where he studied with Marc Lifschey. He is currently principal oboe with the Sacramento Philharmonic Orchestra, a founding member of the Left Coast Chamber Ensemble, and is a member of the Pacific Arts Woodwind Quintet. He has performed with the San Francisco Symphony, San Francisco Opera, San Francisco Ballet, San Jose Symphony, Oakland Symphony, Marin Symphony, Santa Rosa Symphony, California Symphony, San Francisco Contemporary Music Players, Sacramento Chamber Music Society, Sierra Chamber Society, San Francisco Camerata, Mendocino Music Festival, Bear Valley Music Festival, Tanglewood Music Center, Spoleto Festival, and the Colorado Philharmonic. He has performed as a soloist with the Sacramento Philharmonic, Bear Valley Festival Orchestra, Mendocino Festival Orchestra, Diablo Ballet, San Francisco Choral Artists, and for the American Guild of Organists. Tom has performed on television commercials, video and PBS soundtracks. Recent recording projects include the San Francisco Contemporary Music Players, Centering, the Music of Earle Brown, and Carlos Franzetti’s new opera, Corpus Evita, with the San Francisco Camerata. He is on the faculty of The University of the Pacific Conservatory of Music and at Mills College in Oakland. Jerome Simas was appointed to the San Francisco Symphony as bass clarinetist in 2012. He has performed as a guest clarinetist with orchestras across the US, including the San Francisco Opera (principal clarinet) and The Cleveland Orchestra. As a chamber musician, he studied and performed at Marlboro Music in Vermont and also represented the New World Symphony in chamber music concerts in Europe and the US. He won first Prize at the International Clarinet Society’s Young Artist’s Competition and Grand Prize at the Fischoff National Chamber Music Competition. He was a fellow with the New World Symphony as principal clarinet under the direction of Michael Tilson Thomas (with whom he recorded Rhapsody in Blue and Stravinsky’s Ebony Concerto for BMG Classics and RCA) He held principal clarinet positions with the IRIS Orchestra, California Symphony, Oakland East Bay Symphony, Modesto Symphony, Monterey Symphony, and the Left Coast Chamber Ensemble, a group dedicated to promoting a mix of contemporary music alongside traditional masterworks. He has appeared as soloist with the California Symphony, New World Symphony, Monterey Symphony, Modesto Symphony, Iris Chamber Orchestra, and the Cleveland Institute of Music Symphony, where he received his BM and MM as a student of Cleveland Orchestra principal clarinetist, Franklin Cohen. He has taught at UC Davis, Stanford University, San Francisco Conservatory, and was most recently Assistant Professor of Clarinet at the University of Oregon School of Music and Dance. Eric Zivian grew up in Toronto, Canada, where he graduated from the Royal Conservatory of Music. At age fifteen, he left home to attend the Curtis Institute of Music, where he received a Bachelor of Music degree. He holds graduate degrees from the Juilliard School and the Yale School of Music. He studied piano with Gary Graffman and Peter Serkin and composition with Ned Rorem, Jacob Druckman, and Martin Bresnick. He attended the Tanglewood Music Center both as a performer and as a composer. He has given solo recitals in Toronto, New York, Philadelphia, and the San Francisco Bay Area. He has played concertos with the Toronto Symphony Orchestra, the Santa Rosa Symphony, the Philharmonia Baroque Orchestra and the Portland Baroque Orchestra. Since 2000, he has performed extensively on original instruments, playing fortepiano in the Zivian-Tomkins Duo and the Benvenue Fortepiano Trio. A longtime member of the Left Coast Chamber Ensemble, he has performed with the Empyrean Ensemble and Earplay. He is a frequent guest artist on the San Francisco Conservatory's faculty chamber music series. Eric Zivian's compositions have been performed widely in the United States and in Tokyo, Japan. He was awarded an ASCAP Jacob Druckman Memorial Commission to compose an orchestral work, Three Character Pieces, which was premiered by the Seattle Symphony. 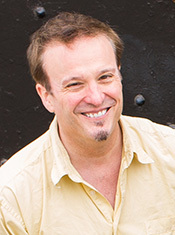 Michael Goldberg has performed with Left Coast since 1996. He has recorded on the Arabesque and Kameleon labels, and has performed with the Philharmonic Orchestra of London, Santa Rosa Symphony, Berkeley Symphony, Philharmonia Baroque, Empyrean Ensemble, Diablo Valley Ballet, and many other Bay Area groups. He performed for many years as part of the Alma Duo, an ensemble of violin/viola and guitar. Michael teaches at UC Berkeley and UC Davis. He received his M.M. from the San Francisco Conservatory of Music. Percussionist Loren Mach is passionate about 21st century music. A graduate of the Oberlin and Cincinnati Conservatories of Music, he has premiered countless solo, chamber, and orchestral works. 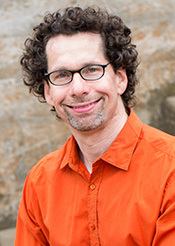 Loren is a principal member of Eco Ensemble, San Francisco Contemporary Music Players, San Francisco Chamber Orchestra, and co-founder of Rootstock Percussion. He often performs with the San Francisco Symphony and other Bay area orchestras, but prefers more intimate projects with groups like Empyrean, Opera Parallel, Earplay, and sfSound. His summertime engagements have included Ojai Music Festival, Cabrillo Festival of Contemporary Music, Music in the Mountains, and the Eastern Sierra Symphony in Mammoth. In 2011 he was awarded an Investing in Artists Grant from the Center for Cultural Innovation. Loren’s other passions involve our fundamental relationship to food as a form of communion with others and our interconnectedness with the natural world around us. An avid hiker, climber, kayaker and cyclist, he cherishes time spent outside as an integral part of being alive. Canadian-born lyric coloratura soprano, Nikki Einfeld has been widely recognized for her "high flying virtuosity" (New York Times) as well as "a bright, lithe tone, pinpoint accuracy and a saucy stage demeanor" (San Francisco Chronicle). Recent highlights from the operatic stage include the title role in the world premiere of Death with Interruptions by Kurt Rhode and Curley’s Wife in Carlisle Floyd’s Of Mice and Men. Other notable appearances include Susanna in Le Nozze di Figaro with Vancouver Opera and New Orleans Opera; Konstanze in Die Entführung aus dem Serail with West Bay Opera ; The title role of Lucia di Lammermoor with Syracuse Opera and Green Mountain Opera Festival; Ophelia in Hamlet with Opera Lyra Ottawa; several roles in the world premiere of Dolores Claiborne by Tobias Picker, Gianetta in The Elixer of Love, Papagena in The Magic Flute, Barbarina in Le Nozze di Figaro with San Francisco Opera; Nanetta in Falstaff and as Mabel in The Pirates of Penzance with Edmonton Opera; Rosina in The Barber of Seville, Marie in The Daughter of the Regiment, and Norina in Don Pasquale with Manitoba Opera. A highly adept interpreter of a wide range of repertoire spanning from the baroque to contemporary music, she has made guest appearances on the concert stage including the San Francisco Symphony, Berkeley Symphony Orchestra, Calgary Philharmonic Orchestra, Winnipeg Symphony Orchestra New Music Festival, Montreal Chamber Orchestra, and the Empyrean Ensemble. As a champion of contemporary music she regularly performs premieres by modern composers. Nikki is a former Adler Fellow and Merola Alumnus with the San Francisco Opera, and also received acclaim as a Grand Finalist in the 2006 Metropolitan Opera National Council Auditions.